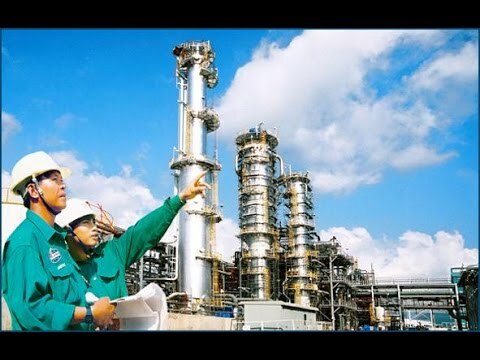 In the rapidly emerging economically powerful nation Vietnam you can find state-of-the-art plants, whose technical standards are often higher than those of European plants. In search of innovative technology the responsible planners and operators of Vietnamese plants already met Poetter Sensors®, which offer significant advantages compared to other measurement systems. These were the reasons for the first installations of Poetter Sensors®. As a result of the positive experience the operators have decided to use Poetter Sensors® as a standard measurement in other plants to. The responsible Vietnamese business partners are working very precise and accurate, and don‘t use anything without exactly knowing the used technology. With the first orders the operator therefore ordered a week-long intensive training for his employees by pvt technology gmbh. This wise decision now allows the operator to find and fix unlikely faults in our measurement quickly and competent. Dipl. Ing. Friedrich Pötter during training in the classroom at XI MANG SONG THAO. The training was opened with a discussion of other measurement methods, their feasibility and all their pros and cons. It was followed by the theory of Poetter Sensors® with the pvt flow computers and all of the its components. This was followed by the training directly in the field at one of the installed Poetter Sensors®. What was remarkable was the extremely high interest, as well as the visibly strong motivation and enthusiasm of all participating engineers about the pvt technology. The arrow marks the position of a Poetter Sensor®. The training was held in English by Dipl. Ing. Friedrich Pötter. It was simultaneously translated into Vietnamese by the charming Miss Duyen Nguyen Hong. It was a really great performance to translate unusual technical terms from English to Vietnamese over several days. Very well done, Duyen. Thank you very much! 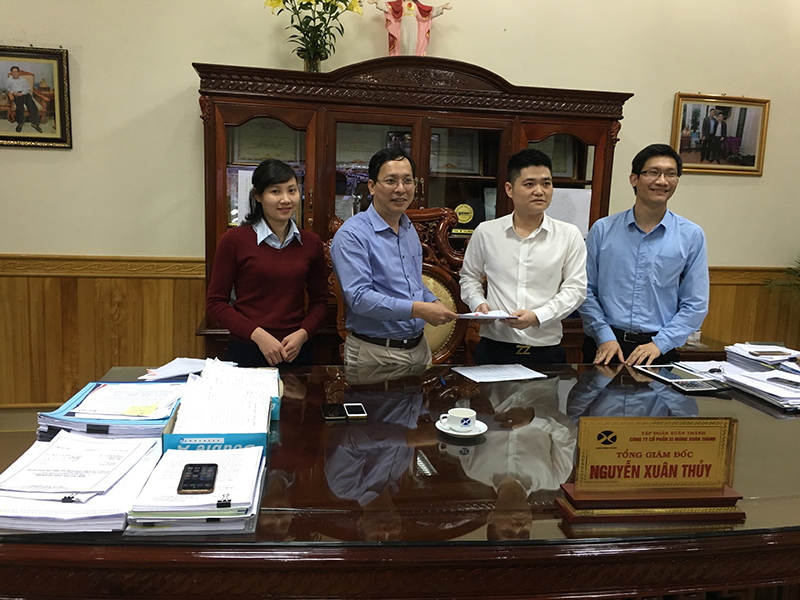 The training at the pvt flow computer C 621 could then take place in direct English dialogue, with the help of the very committed electronic engineer Mr. Phung Van Trung who was very skilled in speaking English. He peppered Dipl. Ing. Friedrich Poetter to the heart of technical details. It was very welcome to enter the depth of the special technique of the pvt flow computer C 621 - which differs a lot from conventional flow computers - with such an interested conversational partner. Mr. Phung Van Trung (plaid shirt) while coaching his colleagues in parameterizing the pvt flow computer C 621 via Laptop. Clearly perceived, the high motivation of all participants. Mr. Phung Van Trung while coaching his colleagues in parameterizing the pvt flow computer C 621 via the C 621 display. After this intensive training by pvt technology the employees of Lilama and XI MÄNG THAO are now easily able to perfectly install Poetter Sensors® and pvt flow computers C 621 with all their components, to start them up as well as immediately finding faults and fix them. "An investment is warrantable whenever it is amortized within 2 years through energy saving and/or quality improvement." The motto of Mr. Dang explains why you can find so much modern and innovative technology in this plant. Mr. Dang was also the one who absolutely wanted a very intensive training about the used pvt technology for his employees. Certainly a wise decision! Deputy General Director of Lilama 69-3 Mr. Pam Xuan Dang inspects a Poetter Sensor®. After work is done, in the control room of "Lilama", including EPC contractor as Lilama Corporation, and Lilama 69-3 as a unit of Lilama Corporation. 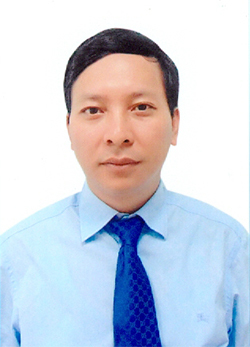 Mr. Doan Ngoc Lam, Chief of Representative and EPC contractor is operations manager of this plant and one of the key decision-makers. He spoke up for the use of Poetter Sensors® to improve product quality and energy efficiency of the plant. General Manager Dipl. Ing. Friedrich Poetter thanks most sincerly for the trust, the good service and the very good co-operation. 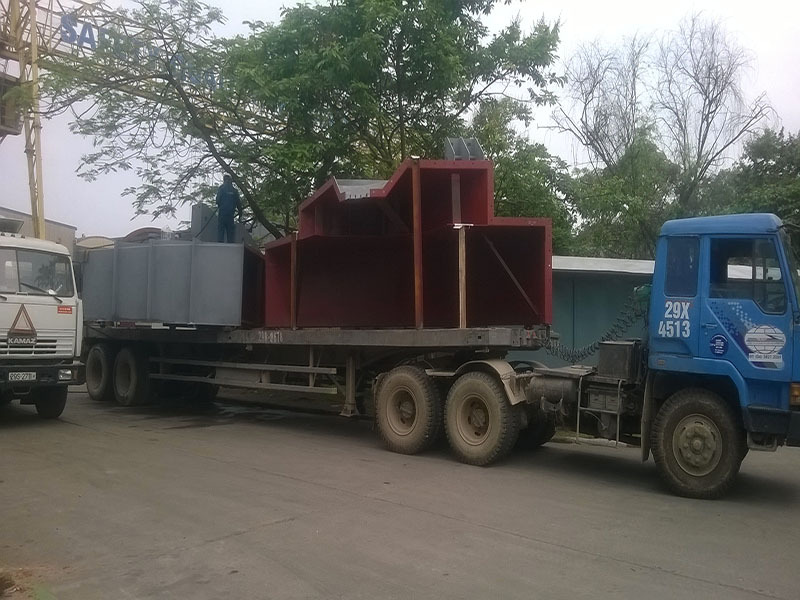 MANUFACTURING KILN SHELL OF CLINKER FOR THE MOST LARGEST CEMENT PRODUCTION LINE IN VIETNAM.